Nassim Sahili is a 24 year old fitness model. He lives in Lyon, France. Nassim is a fitness model, personal trainer and a natural athlete. 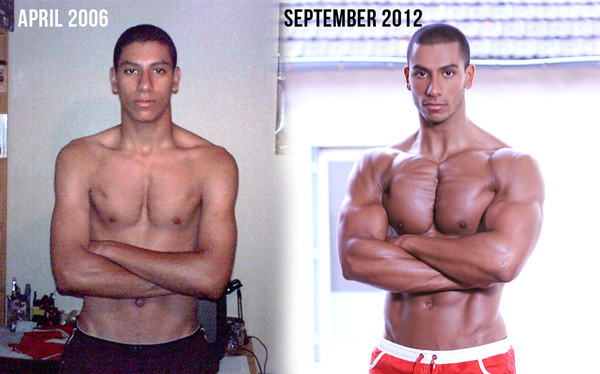 Read how working out transformed him from a skinny teenager to an Optimum Nutrition sponsored athlete. My name is Nassim Sahili. I am 24 years old fitness model, personal trainer and natural athlete living in Lyon, France. I am 6’1’’ tall [186cm] and my current weight is 209lbs [about 95kg]. My first session was in October 2006. Back then, I knew nothing about bodybuilding and I was a bit lost in the middle of all those machines. At this point my only training consisted of 50 push-ups a day in my bedroom hoping to build a chest like Arnold. I weighed less than 70kg, and at the time my goal was to transform my thin and weak physique into a powerful, effective one. Then in my mid-teens, my desire was to build a body that we can identify as an adult one, and not as a child who never really was into sports. Slowly I gathered all the necessary information about training, nutrition and the bodybuilding lifestyle in general, and six years later here I am. I think about how lucky I am to do the job I have; a job that I love. How lucky I am to be able to train every day, to have access to healthy food in abundance and to be sponsored by the biggest supplement company in the business. I try to put things in perspective. Even if I do this job to improve myself, I hope that one day I’ll be able to help others who want to perfect themselves. I want to inspire and change people’s lives. And when I think about this goal, I can assure you that my motivation gets high again and I can get back to work. Depending on my goals, I train from 4 to 6 days a week. My most common split is 5 days on 2 days off. Sets, reps and rest period are always changing as I try to keep the muscles “guessing”. I train my calves every day and my abs – two to three times a week. Honestly, I like to train every muscle group. I think my back is one of my best features. I absolutely love reverse grip bent over row and front squat. Right now I’m in a maintenance phase. I think my body fat is low enough and I try to maintain that type of physique. Do your research and homework. Building a great body is not only a sport, but also a science and an art. You have to learn what it takes to build muscle. I advise anyone interested in fitness training to learn about training nutrition and supplementation. Stay consistent with your training and diet. It might take a little more time than you would expect but in the end you’ll be satisfied. I’m mostly looking to improve again and again. Get my physique on point, to continue to learn about training, nutrition and the bodybuilding lifestyle in general. My goal is to build an aesthetic, yet muscular physique, and to do it naturally. Over the long term, I want to be recognised as one of the best fitness models in the world. I want to earn a pro card in the International Federation of Bodybuilding (IFBB) Men’s physique division, and hopefully win the Olympia. I’m glad to be an Optimum Nutrition sponsored athlete. Having such a great brand behind me really helps when I’m struggling with my training or diet. Their supplements are the best on the market and I’m happy to have their support. 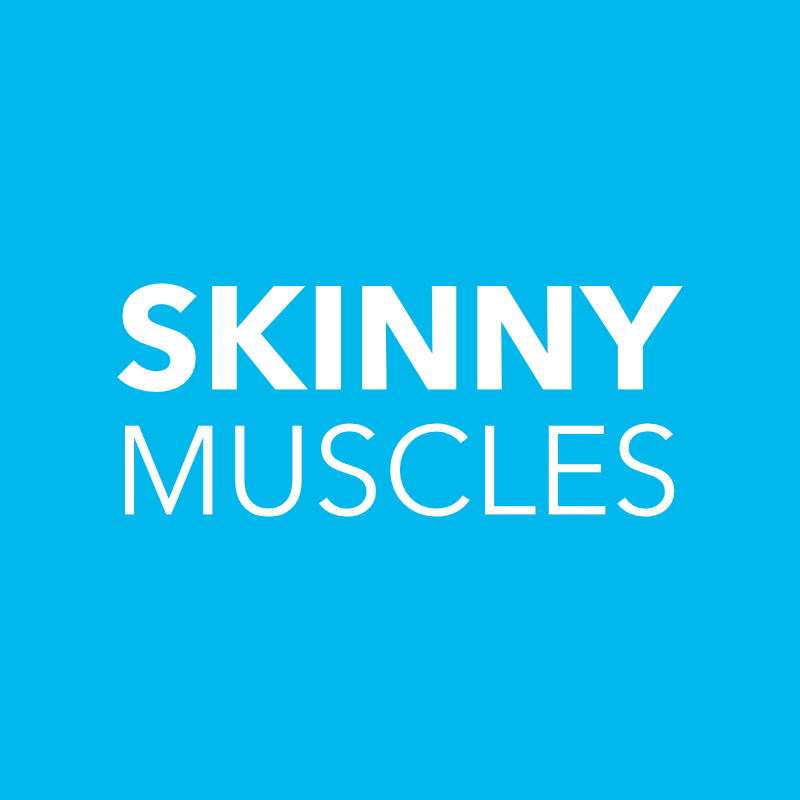 2013 has been both important and successful year for Skinny Muscles and the fitness models we feature. The year has been important because your favourite fitness blog has celebrated its first anniversary. 2013 has been successful because the number of loyal readers (like you) has been growing and reaching substantial numbers.